The concept of Insieme stems from the aspiration to do business, to do it young and in a city, like Milan, that is dynamic, proactive and full of stimuli. 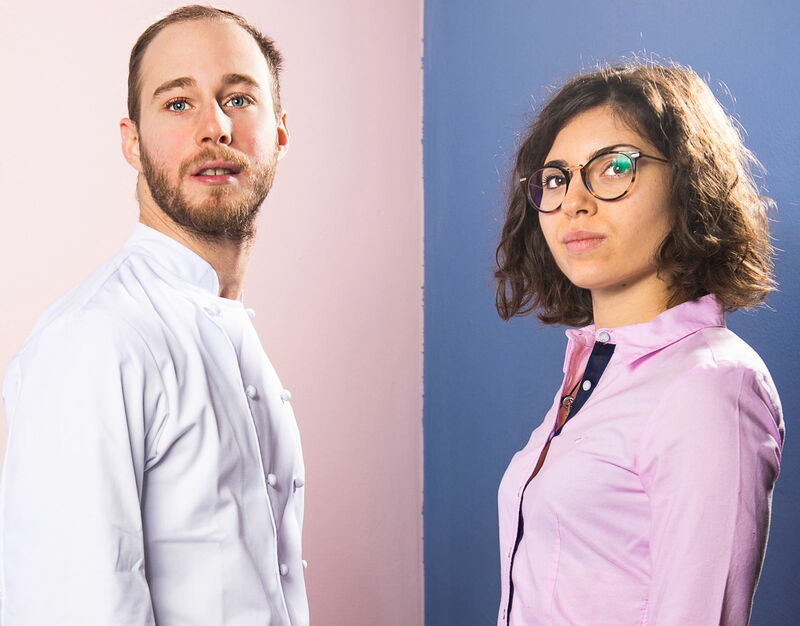 Federica and Alessandro, who team up both in work and real life, are the minds behind the idea. A selection of Mediterranean products, deeply rooted within the territory, together with some peculiar, surprise ingredients are at the heart of their cuisine. This new perspective brings a fresh and dynamic approach in a mid-range market whose offer, in Milan, is still scarce. Highly personalized surroundings, open kitchen, three types of seating: classical, county, and convivial. Insieme is something made for Us, and for You! Come and see! Born 1991, in Milan. Alessandro, after a thriving career rich with both domestic and abroad experiences, puts together a simple but yet peculiar cuisine. Is the product of local tradition with a deep-rooted connection with the Mediterranean identity, one of the most fertile areas for food culture. Born 1993 in Apulia, Milanese by adoption. Two degrees in Economics and a burning passion for restaurant business brought her on a different path: the Front of the House is her environment of choice, from where she moves forward treasuring each life and work experience. Determined, passionate and a sheer perfectionist, Federica is always looking for new stimuli. She really thinks customer care the cornerstone of a successful business.